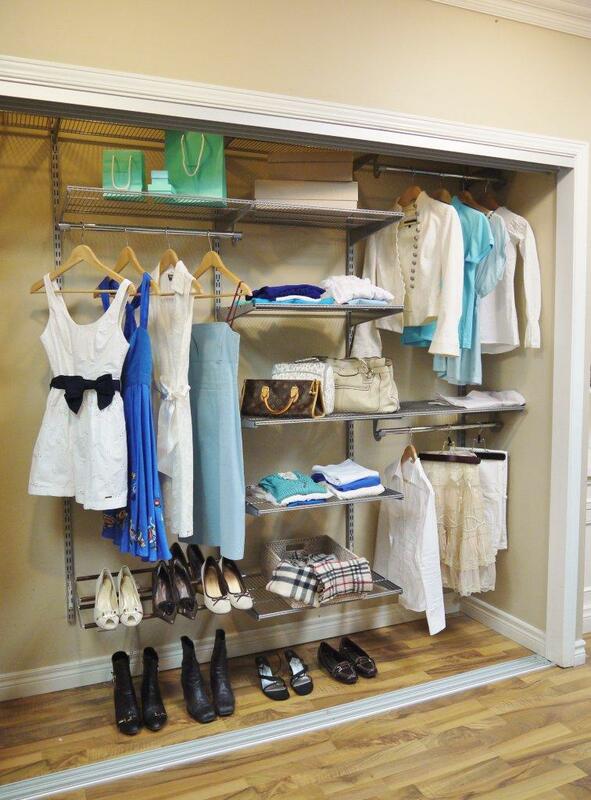 Create the closet you’ve always wanted with AdjustAshelf adjustable and durable wire closet organizers and storage systems, designed and manufactured by us! The quality and value that AdjustAshelf offers can’t be beat. It’s the best in the business. (a) easy to install kits in 24″, 48″, 60″, 72″ widths. Buy online now! (b) custom sizes for non-standard spaces. Try our handy design worksheet, request a FREE quote and let us help you make the most of your space. 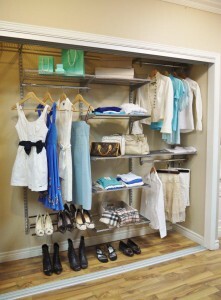 Additional components, such as standards, brackets, wire shelving, baskets and other parts are also available in durable and versatile white or silver finishes. Is installation a problem? Talk to us. We can do it for you for an affordable fee. 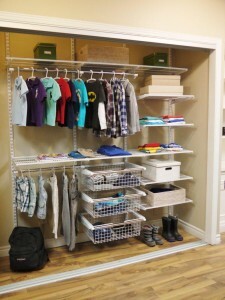 AdjustAshelf is completely compatible with elfa® and ELEMENT SYSTEM closet organizers. We also carry some elfa® and ELEMENT SYSTEM parts. Please contact us for more information regarding availability of these items. 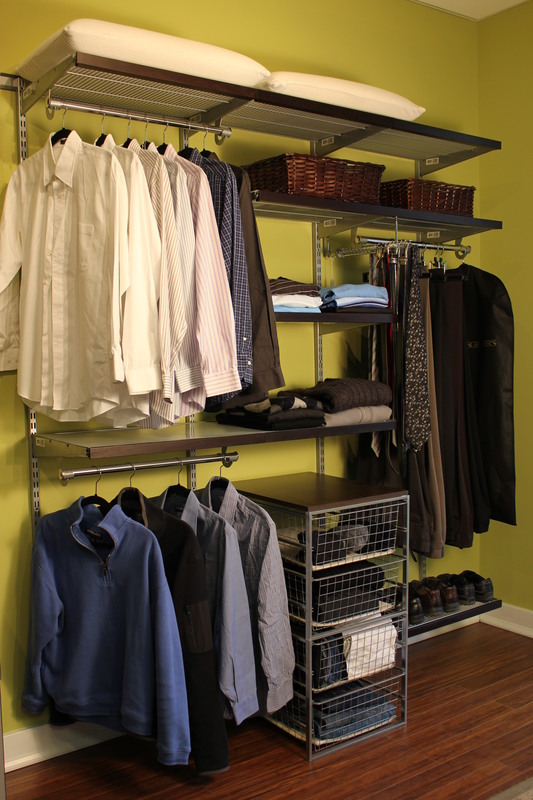 AdjustAshelf… adjustable to every need and every budget! What would you like to organize today?